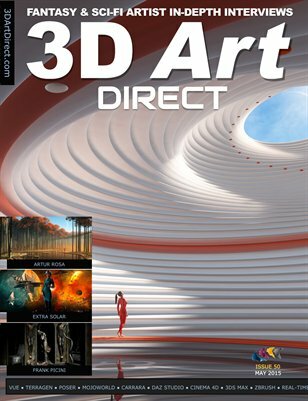 Hivewire 3D is a new corner of the character artwork universe, a destination where new or experienced users of the Poser or Daz Studio software—can come to share, shop, and sell digital content. Hivewire 3D aims to build a hive-like community with productivity, collaboration, and like-minded individuals working towards a common goal. 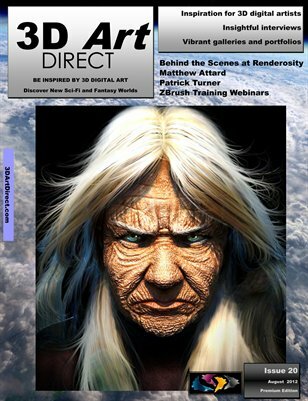 In this session we are pleased to interview Eric Merritt , Chris Creek, Steve Kondris and Paul Lesard from HiveWire 3D and discover the story of Dawn, the new weight-mapped figure for Poser and DAZ Studio. Dawn is the newest in a line of significant figures developed by Chris Creek, who created the original Poser figures, Dork and Posette, and the original Michael and Victoria figures. 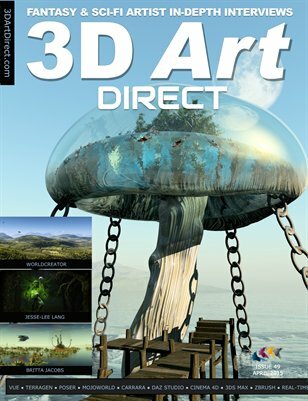 Fortunately there is a nice range of free 3D digital art applications and tools to get budding digital artists started with some great creations. 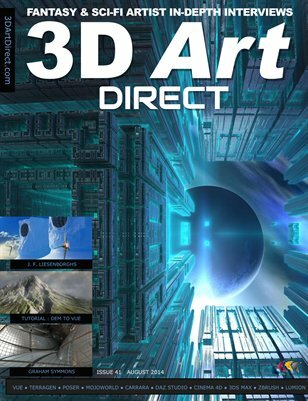 I put the question to the 3D Art Direct magazine readership of what has been their experience in using these tools and what did they use most frequently. I include the best responses below, but if you’d still like to pitch in, then you can answer a quick three question poll here and we’ll add your brief review to this post, once approved. We’ll also include a link to your gallery of digital artwork. 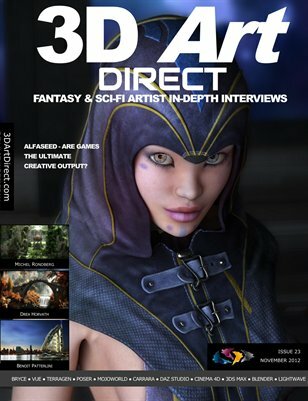 To answer your question, my top free application has been Daz Studio from www.daz3d.com. I started on version 2, and work now in 3, 4, and 4.5 along with Poser Pro 2010, and Carrara Pro 8- which are both paid for applications. Studio can be relatively easy to get a grip on, if you spend time after installing it to go through the manual and start small. I did not, so my stubborn behavior cost me about a year of frustration before I finally had enough and opened that .pdf file. There is so much that you can do with the program if you can get the basics. Peter Rex grew up in rural Germany and now resides in France with a passion for 3D digital art. He has been impacted by art throughout his lifetime, with early influences from his father who was a talented painter and photographer. Peter took prompt advantage of digital art at the time of the Commodore 64 and the Amiga and has never looked back since. Now with more powerful hardware and software at his disposal we look at some of his latest work and what has inspired the imagery he has created. Recently Peter has been exploring the use of the Reality Plugin for Daz Studio. 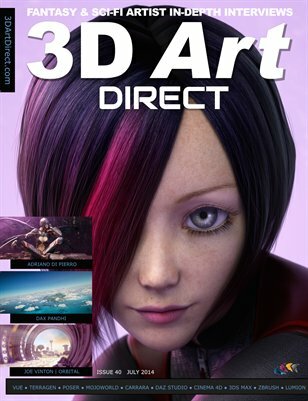 It provides a connection from DAZ Studio to the high end render engine “LuxRender”. LuxRender can provide photo realistic effects since it brings physically-based materials to the Daz Studio – emulating real world physics. 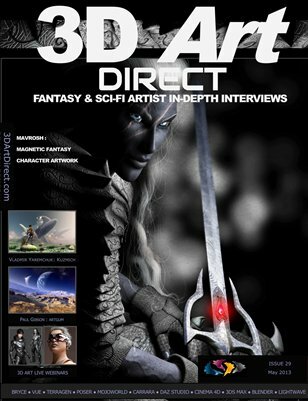 Our full follow-up interview will be published in the forthcoming issue 13 of 3D Art Direct. 3DAD: What are some of the main things you’ve learned as a digital artist since last time we interviewed you? PR: I think I am getting better with the lighting and material work in DAZ/Studio and Vue. Also I’m using Reality, the Daz Studio plugin to transfer a scene into the Lux render engine. 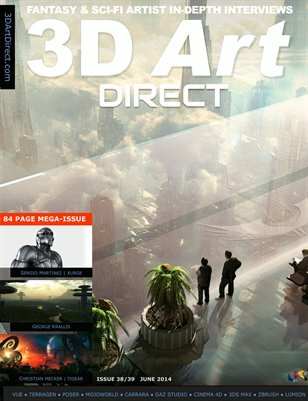 The three artists we’ve interviewed for last month’s edition of 3D Art Direct’s premium magazine had one thing in common; they were blown away by the capabilities of 3D art, even with the early software tools they’d encountered. They could create an entire world and control everything in it, even before breakfast—and not many hobbies allow that. This month we concentrate on artwork that incorporates figures (human or otherwise) into a scene, that gives an image so much more impact. 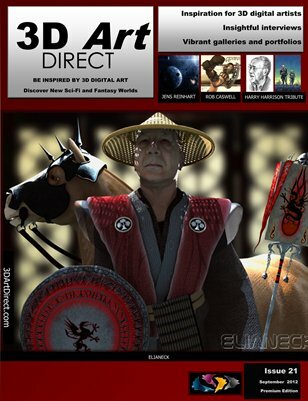 The life-likeness of human figures in 3D graphics was a thorny issue in the beginning. A human figure doesn’t bode well for limited processing power and pixels—too many complex joints, curves and blemishes to deal with. However with the advent of Poser, the first kernel of it developed by Larry Weinberg in the late 80s, a digital manikin maker was suddenly available for the amateur artist. It added a great element of fun into imaging—especially with all the clothing and scene props you could integrate into a scene.